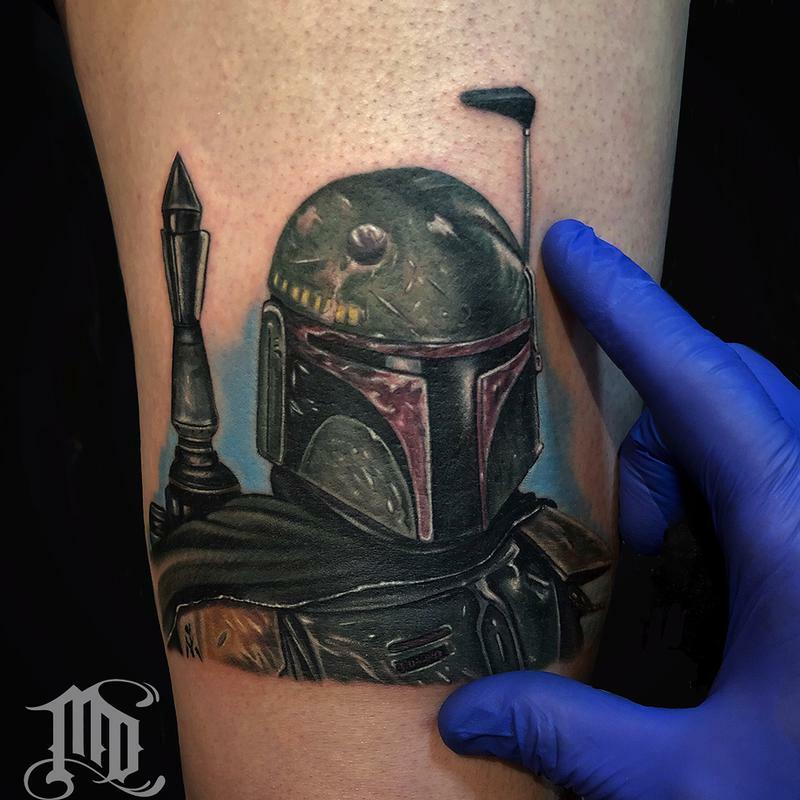 Small Boba Fett Tattoo! Did this one at the Detroit Motor City Tattoo Convention 2018. Love doing Star Wars Tattoos!